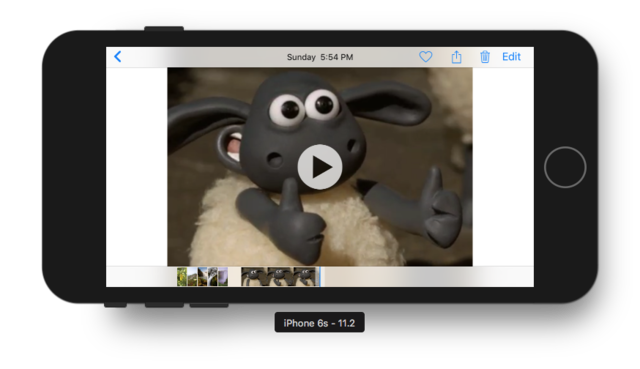 To add a video to the iOS Simulator library, drag and drop a video file onto the simulator window. It'll automatically add to the Photos library as a video. This is the dumbest thing ever, because, you know, loading the video in the Safari browser SHOULD give you a save option, but no, because dumbest thing ever.